I recently received a copy of Paizo's new Pathfinder campaign: The Slave Trenches of Hakotep. 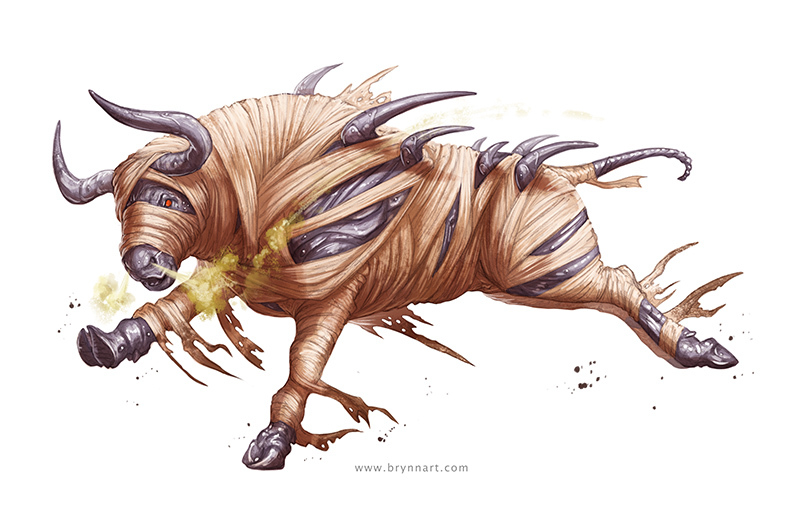 I illustrated three new monsters for the campaign, all of which were mummified versions or previous pathfinder monsters. As always it's a lot of fun to work for Paizo. Their creature prompts are always really fun and even wacky at times. These mummies needed to look somewhat withered but also powerful so they are a little more bulky than the average mummy. Special thanks to Andrew Vallas, my AD for the project. It's always a pleasure! More new work is on the way soon!